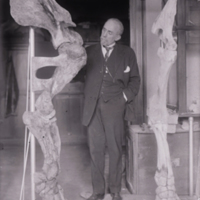 E.H. Barbour & leg of T. osborni. 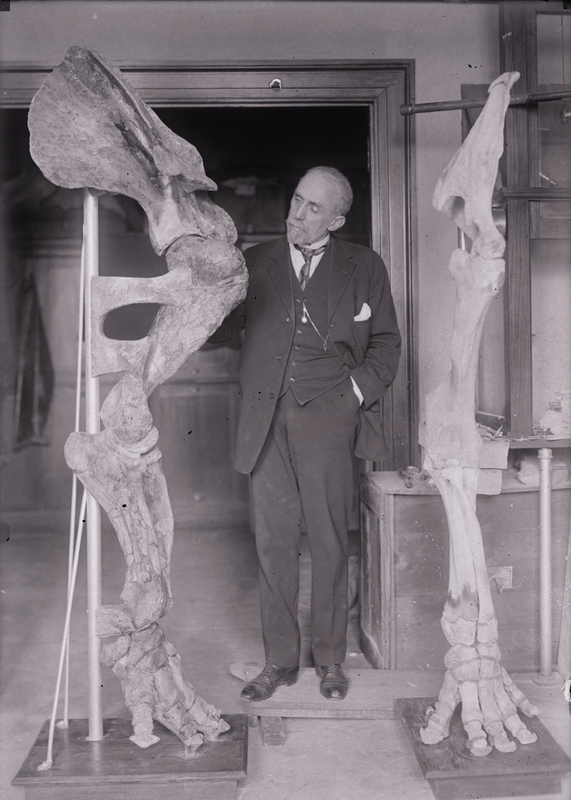 Standing between a mounted Tetrabelodon osborni leg on the right and Elephas indicus leg on the left, Erwin H. Barbour looks at the T. osborni leg. Both legs are mounted on wooden bases and have vertical supports. The setting is indoors in front of a broad doorway. “E.H. Barbour & leg of T. osborni. ,” Nebraska U, accessed April 25, 2019, http://unlhistory.unl.edu/items/show/1952.